Ever since the penalty points issue first raised its head in 2013, the Department of Justice and An Garda Síochána have become accustomed to a “climate of crises”. 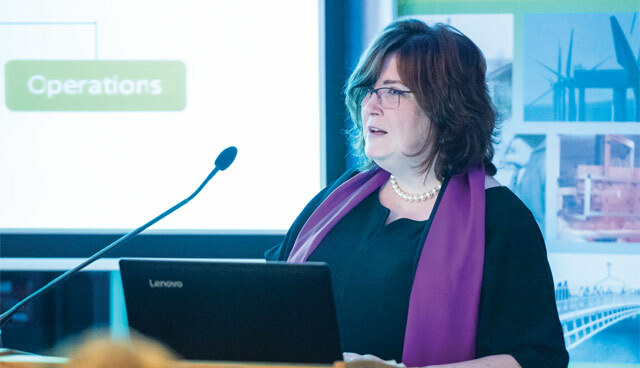 Speaking to eolas, deputy secretary, Criminal Justice in the Department of Justice and Equality Oonagh McPhillips, outlines the challenges facing the entirety of justice in Ireland and the courses of action taken to address them. Fundamental reform of the traditional civil service model has been taking place in the Department, with civil servants “placing an emphasis on leading and managing rather than knowing a lot of stuff”. This reform has led to the management structure of the Department being “fairly radically altered”, to the point where it is now led by a secretary general, Aidan O’Driscoll, two deputy secretaries heading two pillars – one for civil justice and equality (Oonagh Buckley, former head of the WRC) and another for criminal justice (which McPhillips leads) – as well as a central corporate affairs pillar, led by Doncha O’Sullivan. Under the current transformation project both deputy secretary generals will head up executive boards comprised of five functional heads within their areas, with McPhillips handling the criminal justice portfolio. McPhillips says that the reorganisation is “being re-designed to have sufficient bandwidth in relation to every function” and to ensure the strategic alignment of resources, governance and oversight of agencies. It is in this context that McPhillips says that an emphasis on “behaviours and organisational culture” is vital. She pays tribute to the stewardship of O’Driscoll, under whom she said open engagement within the apparatus had “continued and deepened” quickly. “This transformation project represents the best possible opportunity to build a stronger, more outward-looking organisation that can better withstand the storms that come along from time to time. 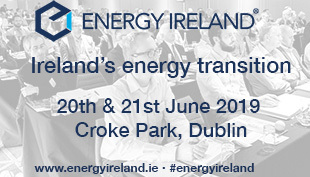 We are fortunate to have the highly experienced Martina Colville as transformation programme manager on the project – Martina appreciates that this is about a structure which will effectively support a changed culture,” McPhillips elaborates. Implementing widespread changes to promote cultural cohesion in a sector with 24,000 employees across 23 agencies has been a challenge for the Department, according to the deputy secretary. McPhillips points to the results of the 2017 Civil Service Employee Engagement Survey (CSEES), published in January 2018, as proof that the process has been “far from perfect, but it’s going in the right direction”. The CSEES found that civil servants had felt an increased level of support from their organisations in 2017. They were also found to feel engaged and satisfied with their work, especially work wherein they had individual control. However, staff felt less satisfaction with their organisations when compared to their individual work and that there was still a lack of a culture of involvement in the service. Staff at lower grades were said to be more positive than staff at higher grades, although there was a widespread perception that the public does not value the work of civil servants, despite the 2017 Civil Service Customers Service Survey finding that the public were satisfied with the Civil Service. Most damningly, the survey found that staff considered the Civil Service to be a place that stifled innovation and that they had not seen any meaningful improvements when it came to the management of poor performance. In her field, McPhillips claims: “The most significant development has been the establishment in 2015 of the Criminal Justice Strategic Committee.” She cites the Department’s own work on criminal justice policy, the Garda Inspectorate’s Crime Investigation report, the Efficiencies Group on the District and Circuit Court and the Toland report (an independent report on the Department in 2014) as catalysts for the committee’s founding. The committee meets quarterly and has successfully driven change since its foundation. The committee structure and this new culture of integration and liaison, is credited with fostering a better understanding of shared responsibilities, the urgent need for collaboration within the system and facilitating a coordinated approach, including for example in implementing the EU Victims Directive. Assisting this process will be the Department’s IT hub project, which, when operational, will allow for real-time information sharing across agencies. McPhillips expresses the hope and expectation that “in time, this project will make relevant information available to all criminal justice agencies and frontline staff”. The civil servant accepts that it is the responsibility of the Department to sponsor, and mandate where necessary, interagency cooperation as a means of driving change across the sector. The Department is taking a more active role in oversight, putting in place new mechanisms to monitor and assess the implementation of reform, affect speedier delivery and get better results. She acknowledges that there are still growing pains within the process given that the role of external bodies in departmental oversight was introduced in the last decade, but stresses the importance of leveraging the expertise of the independent Policing Authority as displayed in the six progress reports it has compiled so far. McPhillips admits that the reports can sometimes make for “uncomfortable reading” but says that they display the value that independent oversight can bring to an organisation. The need for a regular routine within the Department is important too; McPhillips says that mechanisms for governance of agencies such as written agreements and regular meetings matter because agencies must know that they can “rely on regular interaction with the Department” as well as the Policing Authority and the Department of Public Expenditure and Reform, who are also part of the process. The establishment of the Policing Authority in 2016 was “a very significant addition to the governance model” of justice in Ireland, argues McPhillips, who is quick to pay tribute to the “important and transformative work [it has done] since inception”. Chief among this work has been the putting into place of a code of ethics to set standards of conduct and practice for all members of An Garda Síochána. Speaking before the publication of the Commission on the Future of Policing in Ireland’s September 2018 report, McPhillips said that the recommendations within the document will be key to continuing a sea change of behaviour, culture and processes within the country’s justice apparatus. McPhillips says that “an effective approach to implementation will be crucial and critical”. The 50 recommendations therein proposed “sweeping reform” of policing in Ireland. These recommendations include making Gardaí more visible in communities, a renewed emphasis on harm prevention, measures to make the force a more professional, ethical, modern, effective, well-managed, cost-effective, properly trained and equipped police service and new frameworks for both independent oversight and national security. The new oversight framework would enable effective scrutiny of Gardaí in order to emphasise the need for more professional standards of policing and ensure fully independent investigation of complaints. The new national security framework calls for the appointment of a National Security Coordinator in order to better pool intelligence and security information to assess long-term threats. “There remain significant challenges in the sector,” McPhillips says, before warning, “I don’t think we’ll ever have a perfect criminal justice system.” She does, however, finish on an optimistic note: “It is hugely constructive and empowering for the sector to move away from the climate of crises towards a culture of recognising that there’s lots of scope to do things better on an ongoing, continuous basis. Sustained leadership, constant listening and ongoing dialogue will be required on all our parts to deliver this and to fulfil our important mandate to the public,” she concludes.